While Tom Brady has lived and thrived in the spotlight, Jared Goff is trying to prove he's worthy of the attention. THOUSAND OAKS, Calif. — Jared Goff was 7 years old when Tom Brady beat the Rams to win his first Super Bowl in early 2002. The kid has been a Brady fan ever since. Goff is now 24, the same age Brady was then. 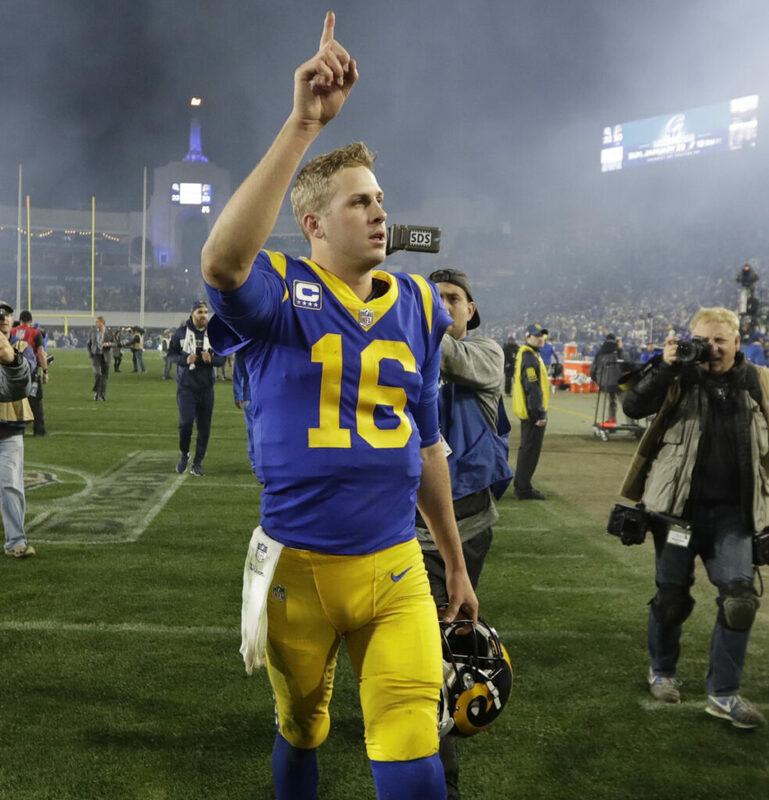 When Brady plays in his ninth Super Bowl in Atlanta for the New England Patriots, Goff will be on the other sideline for Los Angeles, neither star-struck nor cocky. Their 17-year age gap is the biggest between starting quarterbacks in Super Bowl history. Yet the years apparently mean little to Brady and are just as unimportant to Goff, who sees no advantage in youth and no disadvantage in inexperience. Both quarterbacks will be under a relentless spotlight. Brady lives under that glare while Goff is still getting used to it after three years of being a No. 1 pick who stumbled early but grew into a successful quarterback. Goff doesn’t admit to seeing this Super Bowl as a chance to step into Brady’s echelon as one of the league’s elite passers. But after Goff led his team to 24 wins and two playoff victories over the past two years, the Rams think he’s there. Goff and Brady are from different generations but have a few things in common. They’re both from the Bay Area. Neither was a can’t-miss prospect heading into college, but neither let it stop him. Already the winningest quarterback in NFL history, Brady will play in his 40th playoff game. Goff will be in his fourth but is riding the momentum of his first two career postseason victories in the past two games. Goff didn’t have many plays on his shoulders two weeks ago when the Rams’ ground game ran over Dallas. He played a larger role in the wild victory over the Saints. Goff clearly has the arm and ability to succeed in McVay’s offense. In New Orleans, he showed his ability to do more. “It’s big, I think, anytime you can go into an atmosphere like that, go down 13 (points) early, then show the poise and perseverance, and get through adversity the way we did and be able to come out on top,” Goff said. It wasn’t his best performance but likely the most satisfying. Goff went 25 of 40 for 297 yards with one touchdown and one interception. More importantly, he calmly rallied the Rams from an early 13-point deficit and made enough big plays late to keep the Rams in contention in that topsy-turvy game. Goff and Brady have only faced each other once. In December 2016, Brady became the NFL’s career victories leader in a 26-10 victory at New England, while Goff threw two interceptions in his third career start. Goff met Brady for the first time. They’re friendly but not yet close. Asked if it feels surreal to be heading toward a Super Bowl showdown with the mighty Patriots and Brady, Goff stifled a grin.